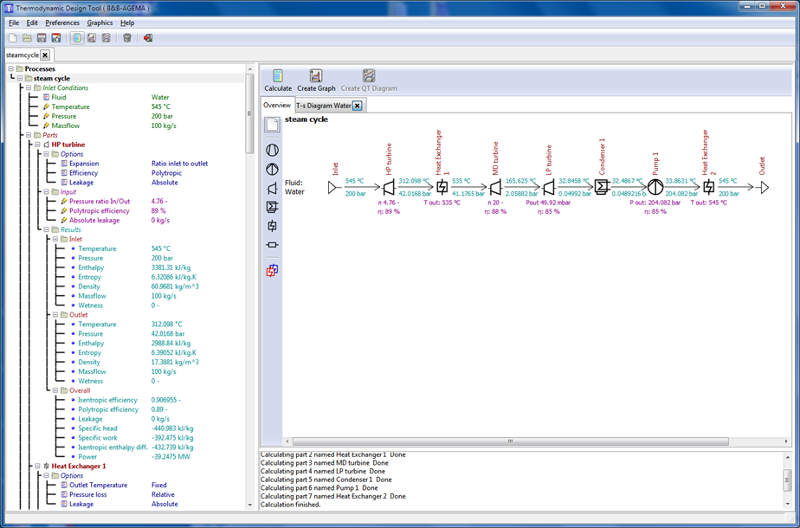 The TDT software (Thermodynamic Design Tool) is a very fast and efficient thermodynamic design tool for complex compression processes or full cycles. It comprises real gas behavior of several gases (e.g. CO2, Hydrogen, water/steam, air, etc.) and mixtures. 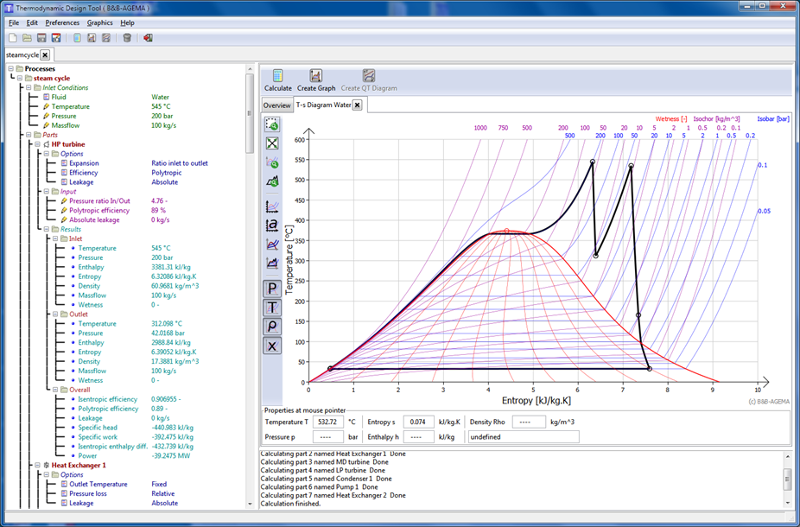 The thermodynamic processes can be visualized in parametric thermodynamic diagrams, e.g. enthalpy/entropy, temperature/pressure, including precisely tabled thermodynamic values. It supplies to the user an easy and interactive user surface and a huge number of options for setting up the thermodynamic process based on the individual requirements. 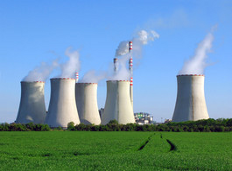 As an example, the TDT has been used for optimization of multi-stage inter-cooled compression process of CO2 for a power plant concept with Carbon Capture & Storage (CCS) technology. TDT is continuously further developed by B&B-AGEMA and has been applied in a huge number of the industrial projects. For more information and detailed application examples see this presentation. Please contact us if you are interested in testing TDT. Educational licenses for TDT are available at a reduced price.